This roundup of the best Fuji lenses has been updated for 2019 to keep up with the exploding popularity of Fuji X Mount Cameras. 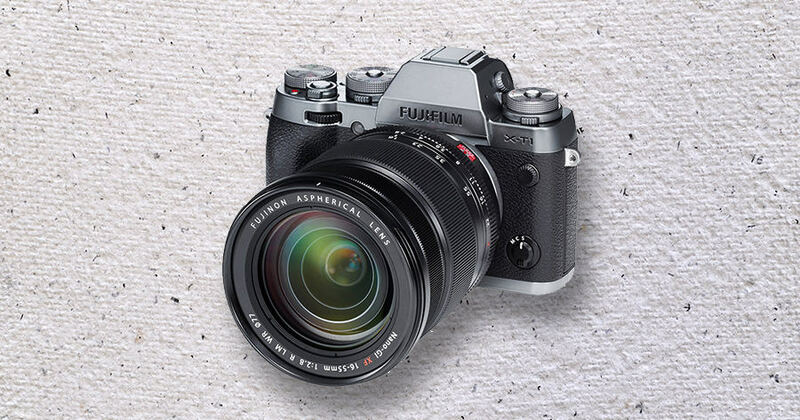 Fujifilm’s high performance APS-C mirrorless cameras and the incredible lens lineup continue to entice more and more amateur and professional photographers each year. 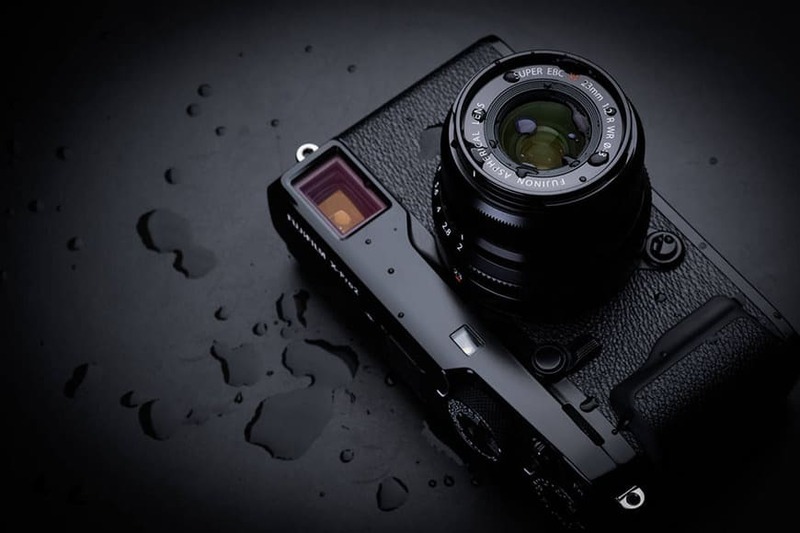 Despite recent mirrorless camera releases by other big brands, the well-established lineup of Fujifilm X mount lenses has been a big reason to keep returning to the big F.
With the launch of the formidable Fujifilm X-T3, and useful firmware updates to many of the existing X-series cameras, it’s clear that the demand for high quality Fujifilm XF lenses will just keep on growing in 2019. Featherlight - 0.17 lbs (77 g)! I’ve tried to be as eclectic as possible with this Fuji lens review roundup, recommending lenses which are best for the majority of photographers. The above suggestions are what I consider to be the best all-round lenses that would see you well in most situations. As for the best Fuji wide angle lens, the Fuji 16mm f/1.4 is hard to beat for speed and image quality. If you’re looking for the best Fuji prime lenses, the Fuji 23mm f/1.4 or the Fuji 23mm f/2 WR are my two favourites due to their versatile focal length. Whilst not technically as excellent as the two above options, if you’re looking for a lens with true character, you should definitely check out the Fuji 35mm f/1.4. The f/2 is lighter and weather-resistant (see the amazing video later on in this review), whilst the f/1.4 is obviously slightly better in low-light. If you’re after an ultra-wide angle zoom, my choice would be the Fuji 10-24mm f/4, which many call the best Fuji lens for landscape photography. 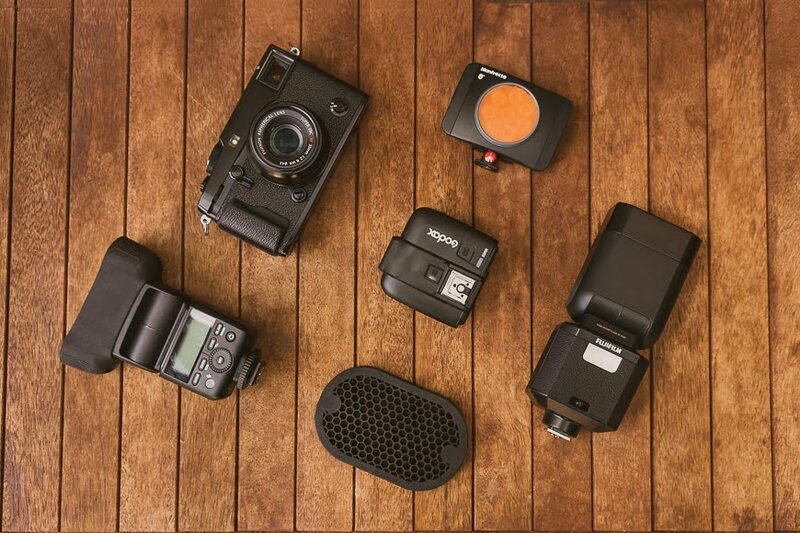 Also, if you’re looking to accessorize your Fuji camera with the latest gadgets and gizmos, check out this guide to the best Fuji accessories. Before we dive head first into the Fuji lens reviews, it’s important to understand what all the letters in the lens name mean. In the reviews below, I’ve removed the superfluous lettering after the main elements of each lens name in the interests of simplicity – feel free to click through to each lens on Amazon to see the entire lens name. All the Fuji X mount lenses are excellent in one way or another, but the ones I’ve chosen to highlight below represent the best value for money and versatility in their class. So here’s my selection of the best Fuji lenses available here in 2019. As and when new X mount lenses are released, I’ll review them and update this post accordingly. 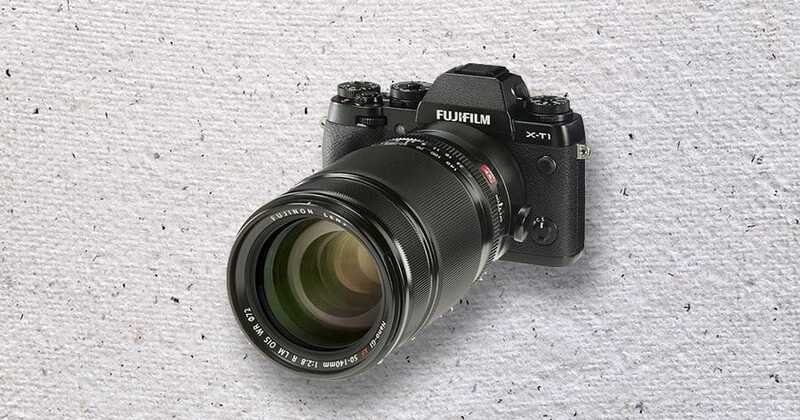 Shown on a Fuji X-Pro1 above, the Fuji 55-200mm f/3,5-4.8 is a relatively portable telephoto zoom that offers impressive image quality right across its wide zoom range. Focus is silent and fast, perfectly complementing the Fuji mirrorless camera lineup for discreet shooting. The inbuilt image stabilisation of the Fuji 55-200mm f/3,5-4.8 is impressive, allowing the use of slow shutter speeds to prevent camera shake even when hand-holding in low light situations. Imagine being able to shoot 4 or 5 stops slower than you usually would with a long-range zoom lens and still have a sharp photo! Being able to use slower shutter speeds in low light will allow you to use lower ISOs, which in turn leads to a cleaner final image. The 55-200mm focal length when used on a Fuji X mount camera with a 1.52x crop factor shows the same angle of view as an 80-300mm lens on a 35mm camera. 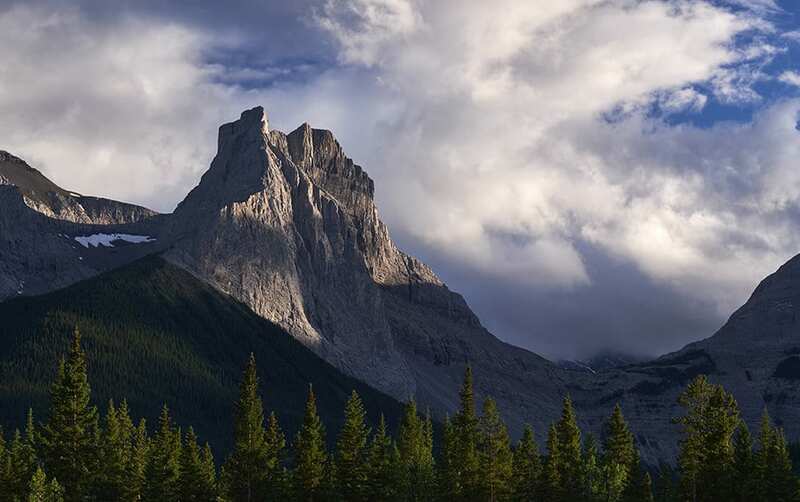 This provides a medium to long range zoom capabilities, making the Fuji 55-200mm f/3,5-4.8 an excellent choice for cropping tight on landscape shots or pulling elements in the distance closer together (see below image as an example). The build on the Fuji 55-200mm f/3,5-4.8 is solid, as with all of the Fuji X mount lenses. Autofocus is extremely fast and accurate thanks to two linear motors, and the bokeh from f/2.5 to 4.8 is beautiful and creamy. 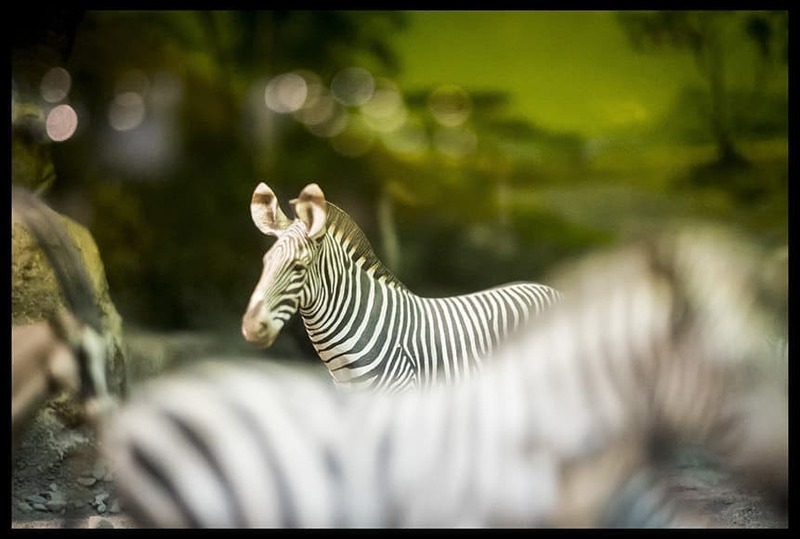 In-focus elements are razor sharp at all settings, as illustrated well in the photo below. My favourite feature of this impressive Fuji zoom lens is its ability to focus as close as 1.1 metres, which means you can capture high quality telephoto close-ups, much like a macro lens. It’s great to have such a broad focal range in one lens that’s much more compact and lightweight than an equivalent lens for a full frame camera, and also that it can be used for close-ups too. With over 100 5 star reviews on Amazon, the Fuji 55-200mm f/3,5-4.8 is one of the best Fuji zoom lenses – an excellent all-round choice with a useful telephoto range and high image quality. For many photographers (including myself), this is one of the best Fuji prime lenses ever made. When I tested a range of Fuji lenses for this review, I had this Fuji 23mm f/1.4 on my camera 90% of the time… and absolutely loved it. 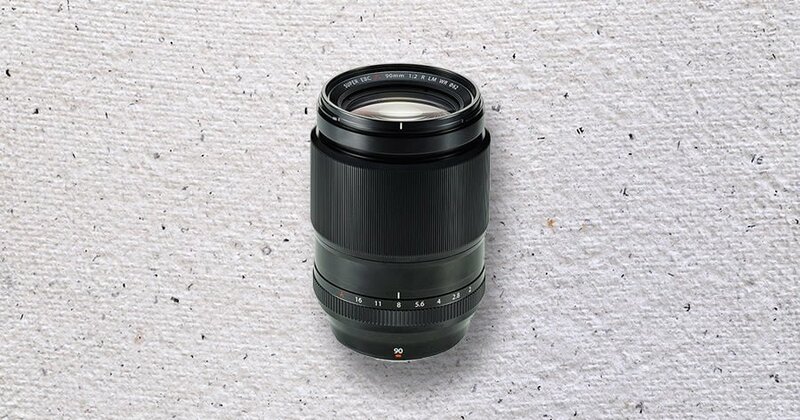 It’s usually the smaller prime lenses such as this one that are the most lenses for Fuji X series cameras, since they balance so well with the camera body. 35mm is arguably the most popular focal length for photographers due to its versatility, being equally at home shooting portraits as well as being wide enough to fill the frame with interest. The Fuji 23mm f/1.4 is super-sharp, focuses accurately and near instantaneously, has beautiful bokeh when shot wide open at f/1.4, and also displays awesome sun stars when stopped down to smaller apertures. You can see the subject separation and smooth bokeh exhibited by the Fuji 23mm f/1.4 in the image below. There’s no distortion which is unusual for a 35mm lens, and another surprise is the complete lack of vignetting, even at f/1.4, This could be the ‘cleanest’ 35mm equivalent lens ever produced – it’s definitely the better of the two 23mm Fuji lenses, in terms of image quality. The Fuji 23mm f/1.4 is a metal lens which feels sturdy and satisfying in the hand, and even more so when attached to a similarly robust body such as the new Fujifilm X-T3 (reviewed here). In fact, photojournalists and street photographers often have the Fuji 23mm f/1.4 permanently attached to their mock-rangefinder X-Pro’s, simply because the combination is just so good. As for sharpness, well Ken Rockwell reports that “the Fuji 23mm f/1.4 is as sharp as Nikon and Canon’s 35mm f/1.4 lenses”, which cost twice as much. I’ve shot with two different Nikon 35mm lenses for over 5 years now, and agree that this compact offering from Fuji can definitely give them a good run for the money. You can check out the full review of this impressive lens here, to see how a Unit Still photographer puts it to good use on film sets. If you’re look for one of the best Fuji prime lenses, the Fuji 23mm f/1.4 is definitely up there. It’s simply an extraordinary lens at a very useful focal length. The weather-resistant Fuji 16-55mm f/2.8 lens is a midrange zoom with a focal length equivalent to 24-84mm, and a constant f/2.8 aperture throughout the range. It’s a pro-grade zoom Fujifilm lens with amazing optics and razor-sharpness from edge-to-edge. If you are ready to make the investment, the Fuji 16-55mm f/2.8 is the best midrange zoom Fujifilm produces, and also the most popular all-round focal length zoom available. A cheaper (and lighter) alternative is the Fuji 18-55mm f/2.8 – (read reviews here), although it has to be said that the 18-55mm is in a different league to this Fuji 16-55mm f/2.8. 16mm as opposed to 18mm will also give you more flexibility for wide angle shots too. On a 35mm camera, the Fuji 16-55mm f/2.8‘s closest lens would be the immensely popular 24-70mm f/2.8, a zoom range favoured by many pro photographers due to its versatility – from wide angle to medium telephoto, a 24-70mm covers it all. On the APS-C sensor Fujifilm cameras, a 16-55mm f/2.8 gives you even more range (up to an equivalent of 84mm). Shot fully zoomed out to 55mm, the Fuji 16-55mm f/2.8 is an excellent portrait lens. 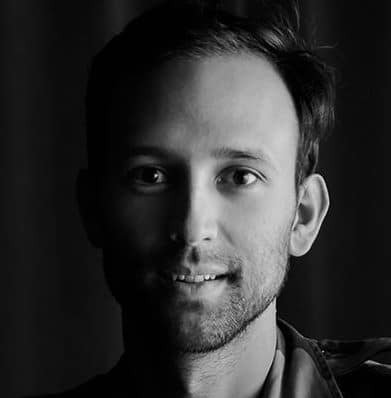 If you step back enough and want to shoot wide, a non-distorted portrait can even be shot around 16mm, like the example below which was shot at 17mm. The Fuji 16-55mm f/2.8 is built out of metal which makes it very robust and a pleasure to hold. It’s also Weather Resistant, which is great for added peace of mind when shooting landscapes in the great outdoors. Its solid build does however add to its weight, with often results in it being a lot heavier than the Fuji mirrorless camera it’s attached to (see photo above with the Fuji 16-55mm f/2.8 attached to a Fuji X-T1). If you don’t mind the weight, the Fuji 16-55mm f/2.8 is technically brilliant, and since the focal range is so versatile, it deserves to remain here as one of the top Fuji lenses available this year. This ‘pancake lens’ is one of my personal favourites in this roundup (after the Fuji 23mm f/1.4). 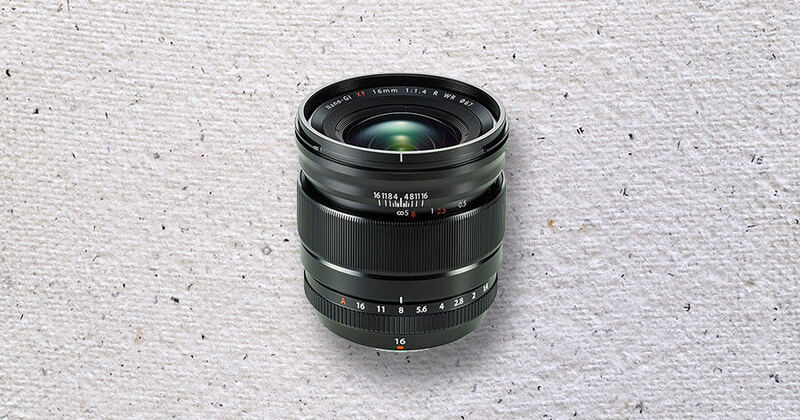 It’s the smallest and lightest of all the Fujifilm lenses, making it one of the best Fuji lenses for travel. In my mind, the biggest benefit of the Fuji X cameras and compact mirrorless cameras in general is their size and weight. Putting a big, heavy zoom on the front of a lightweight Fuji camera body just doesn’t make sense to me. The Fuji 27mm f/2.8 adds a mere 0.17 lbs (77 g) to the front of your Fujifilm X camera and is an absolute joy to use, making it much more likely that you’ll have your camera in your pocket with you everywhere you go. The focal length of the Fuji 27mm f/2.8 is equivalent to 41mm on a full frame camera, about the same angle of view as the human eye. This means you can accurately frame your shot before you’ve even lifted the camera to your eye, making it a great choice for street photographers. Incidentally, if you’re looking for a small and light camera for use on the street, many consider the Fuji X-A1 to be the best camera under $500. As for performance, the Fuji 27mm f/2.8 is sharp at all apertures, although shooting wide open at f/2.8 will result in slight softness in the corners, but it’s barely noticeable. When stopped down to the smaller apertures, the Fuji 27mm f/2.8 is at its sharpest, exhibiting no distortion combined with excellent colour rendition, as shown in the jpeg image below which came straight out of a Fuji X-Pro1 with Velvia film simulation. With a lens of this focal length and a semi-fast f/2.8 aperture, it won’t be pleasing any of the bokeh-whores out there, but still, there’s enough subject separation to elevate your image from the smart phone shooters out there. The Fuji 27mm f/2.8 is available in silver and black. If you’re going traveling and need a lightweight, flexible and fun lens for your new Fuji mirrorless camera, you can’t find much better than this great Fuji lens. [Locker] The locker [id=41059] doesn't exist or the default lockers were deleted. Equivalent to a 24mm lens on a full frame camera, the Fuji 16mm f/1.4 is held by many as the best Fuji wide angle lens. 24mm is typically used in conjunction with a longer lens by wedding photographers, landscape photographers, street photographers, architectural photographers and basically anyone who wants to tell a story by including more in the frame. For a wide angle lens, the Fuji 16mm f/1.4 has relatively little distortion for a wide angle lens. Distortion is hard to measure on some Fuji lenses since the camera body may be correcting any distortion automatically, but either way, you won’t see any warped elements in your final images. 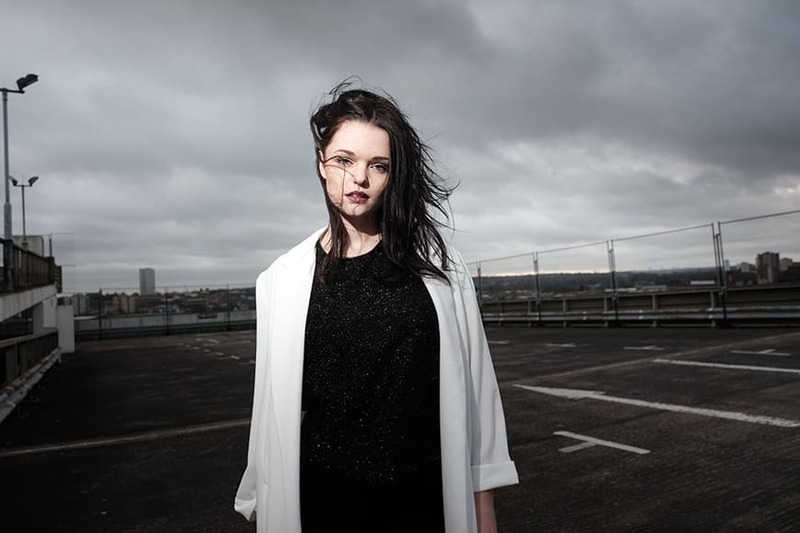 Remember that you can even shoot portraits with wide angle lenses such as the Fuji 16mm f/1.4 if you step back far enough, as illustrated by the image below. The Fuji 16mm f/1.4 is built like a tank, much the same as most of the Fuji X mount lenses. In fact, the Fuji lenses are built much better than any of the plasticky Nikon or Canon pro lenses which often cost (and weigh) twice as much. As for performance, the Fuji 16mm f/1.4 is super-sharp, exhibits no lateral colour fringing and no visible light falloff even when shot wide open at f/1.4. As with all wide angle lenses, you need your subject to be relatively close to the camera if you really want to separate them from the background via the bokeh. In fact, the Fuji 16mm f/1.4 can focus to within just 6cm from the front of the lens! As for sunstars when shot at smaller apertures, see the long exposure photo below for how beautifully these reproduce. An advantage of a fast wide angle lens like the Fuji 16mm f/1.4 is your ability to shoot it at slower shutter speeds than a longer lens. Any slight movement when shooting hand held will in effect be masked by the width of the shot, and f/1.4 will let plenty of light in to help achieve a faster shutter speed. When combined with the high ISO performance of the Fuji mirrorless camera lineup, low light photography is made a lot more achievable. The close-focus distance of just 15cm (0.49ft) is also a welcome addition, allowing you to get up close and personal to your subject, while still including enough of the environment in the frame to tell the complete story. The Fuji 16mm f/1.4 is a perfect match for cameras such as the Fujifilm X-H1 (reviewed here), with its in-body image stabilisation. 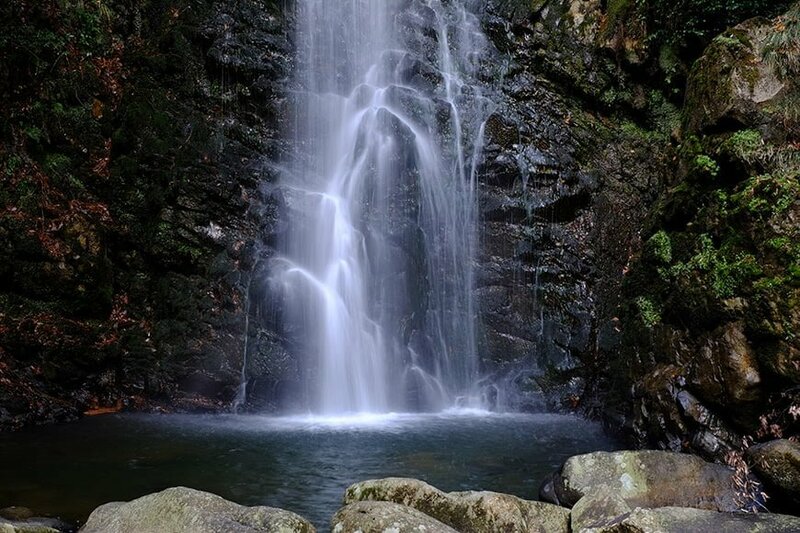 When combined with the wide angle and fast aperture, you can get away with hand-holding at slow shutter speeds up to 1 second and still get a steady shot! If you’re looking for a great vlogging lens, the Fuji 16mm f/1.4 is great for this too – I shot the video below handheld using this lens attached to a Fujifilm X-H1, and the field of view is perfect to include my head in the centre of the shot while still including enough background. If you’re looking for a more affordable and lightweight Fuji wide-angle lens, the Fuji 18mm f/2 lens is a decent alternative at almost half the price. You will be losing some ability to shoot in low light and 2mm on the wide end, compared to the 16mm f/1.4 version though. In my opinion, the Fuji 16mm f/1.4 is quite simply the best wide angle lens available for Fuji x series cameras today, thanks to its image quality, build and versatility. If you’re a stills or video shooter, I highly recommend you have this lens in your camera bag. Many photographers prefer to reach for a wide-angle zoom rather than a prime. Often used on tripods by landscape and architectural photographers, the ability to zoom to frame a shot perfectly is a huge advantage when the camera’s position is fixed. The 15-36mm equivalent focal range of the Fuji 10-24mm f/4 makes it extremely versatile, allowing the ability to take advantage of a wide-angle as well as the popular 35mm (36mm) field of view. It’s another great Fuji lens for landscape photography that offers a great amount of flexibility, but just be aware that it isn’t weather resistant. The fixed f/4 aperture is available throughout the 2.4x zoom range, and provides excellent detail from the foreground to the distance. 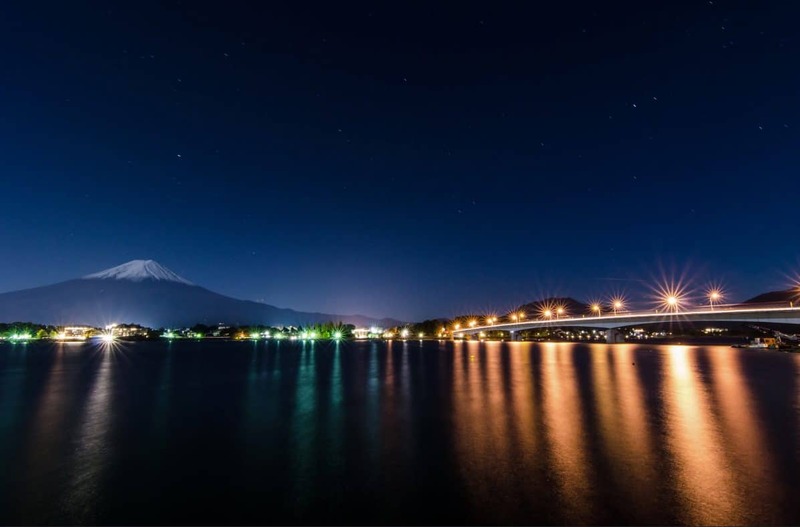 The inclusion of Optical Image Stabilisation in the Fuji 10-24mm f/4 means that you’re able to work handheld which shooting in low light too. Thanks to the use of an inner focusing high-speed AF system with lightweight internal lens elements, the Fuji 10-24mm f/4 is very quiet to use. Combined with a silent Fuji mirrorless camera like the Fuji X-T2 (reviewed here), it makes a perfect reportage style documentary photography setup. A minimum focusing distance of just 28cm means that you can capture both smaller foreground detail along with the wider surroundings to give your subject context, such as in the photo below shot at 10mm. Note that in the image below, the trees are leaning to the centre of the frame due to the low level of the camera position. Ken Rockwell calls the Fuji 10-24mm f/4 “the best ultrawide (Fuji lens) for the Fuji X-mount cameras”, and for good reason. Don’t be put off by the relatively ‘slow’ maximum aperture of f/4 – wide angle lenses always produce a deeper depth of field, unless you’re right up close to your subject. 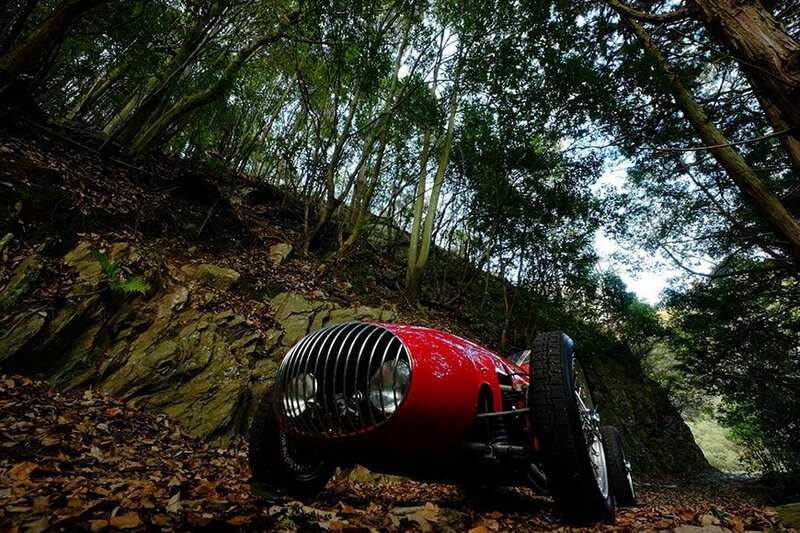 Having a deep depth of field is also more relevant for landscape and architectural photography. If you’re concerned about f/4 not being quick enough for low light situations (and the lack of OIS therein), I’d recommend investing in one of these solid tripods to stabilise your shot, especially at slower shutter speeds. That said, the optical quality of this lens is superb and the useful 10-24mm focal range still makes the Fuji 10-24mm f/4 one of Fuji’s best lenses available today. Remember that this round up is in no particular order – if it were, the incredible Fuji 90mm f/2 would be closer to the top. With an equivalent focal length of 137mm, the Fuji 90mm f/2 is the best Fuji lens for portrait photography in the Fuji x-mount lens line up, delivering ultra-sharp, flattering results with zero distortion. The optical construction of 11 elements in 8 groups minimizes vignetting and creates beautiful bokeh thanks to the rounded diaphragm. As well as being an excellent portraiture lens, the Fuji 90mm f/2 is also used widely as a lens for astronomy photography due to its focal length and fast aperture. As with all Fuji X mount lenses, the construction is solid. The Fuji 90mm f/2 features weather and dust-resistant sealing, allowing usage to temperatures as low as -10 degrees. The biggest advantage of the the Fuji 90mm f/2 lens is its lightweight and compact size. Weighing in at only 540g, the Fuji 90mm f/2 makes much more sense in my mind than the far heavier zooms in the Fuji lens lineup. 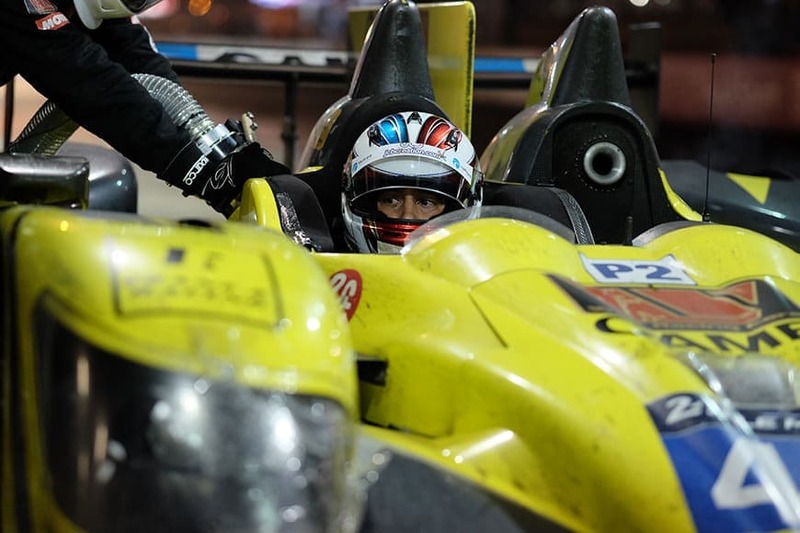 For those who need to carry their equipment for long periods such as motorsports photographers, the size and weight of the Fuji 90mm f/2 is a god-send. Combined with a Fuji mirrorless body such as the Fuji X-T3, the combined weight of just 1kg (2.2lbs) makes the combo a pleasure to use. With so many 5 star reviews on Amazo of the Fuji 90mm f/2 lens, happy users report of “ultra-shaprness”, “superb image quality” and “astounding colour/bokeh/rendering” of the Fuji 90mm f/2. If you’re after what is arguably the best Fuji lens for portraits, or you just want a tighter/more compressed composition, the Fuji 90mm f/2 should be at the top of your list. It’s debatable whether this is the absolute best Fuji lens available today, but the near-legendary Fuji 35mm f/1,4 is certainly the most popular lens in the Fuji X mount lens lineup. 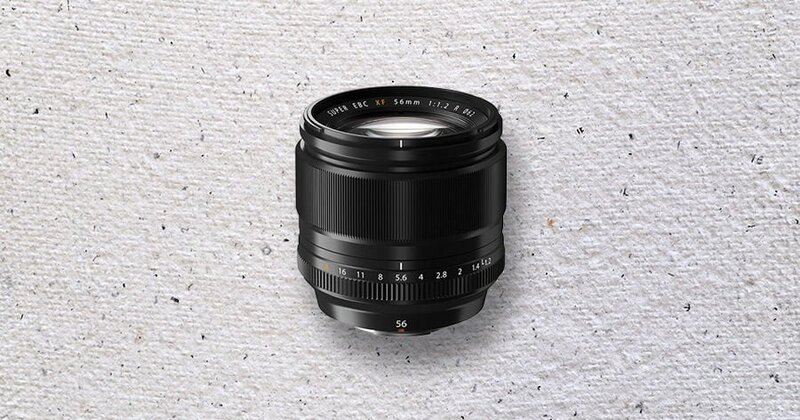 With a staggering 130+ near-perfect reviews on Amazon and a 98% score on Imaging-Resource, this 52mm equivalent Fuji lens is on the front of so many Fuji mirrorless cameras used professionally around the world… and for good reason. 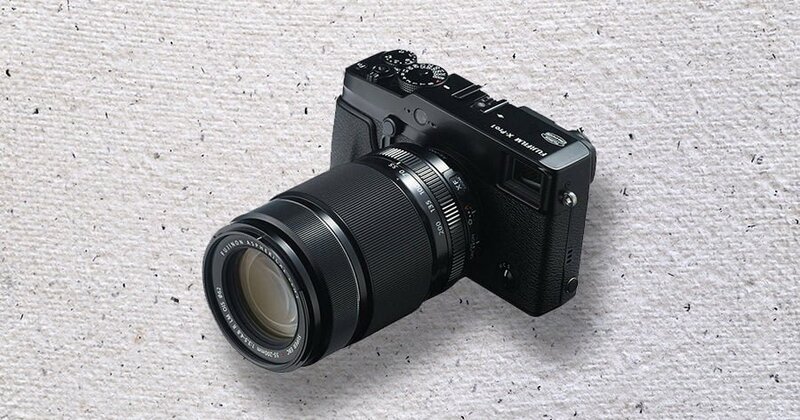 Early in 2012, Fuji released the X-Pro 1 system, with this Fuji 35mm f/1,4 being one of the 3 flag-ship lenses. It was touted as the perfect combination with the X-Pro series (most recently the Fuji X-Pro2), giving a field of view closest to 50mm – the choice of so many photographers throughout time. The Fuji 35mm f/1,4 is capable of sharp image reproduction, but stopped down to f/5.6 is where the sharpness is most impressive. That said, if you’re buying an f/1.4 lens, you’ll want to be shooting it wide-open, and thankfully the bokeh when shot in this way is beautiful. Wide open, edges are a little soft, but this adds to a natural vignetting of the image, giving great character. 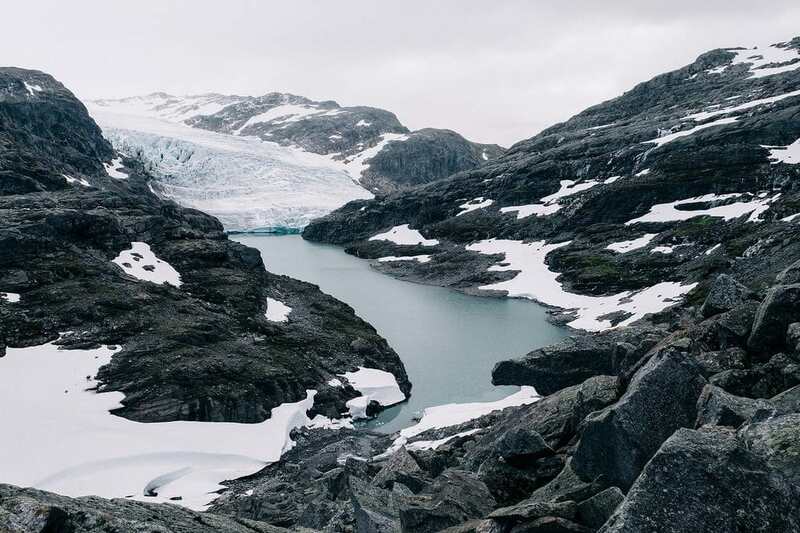 Images such as the one below may not be optically perfect, but they exhibit a certain character that is unattainable with other Fuji lenses. Sharpness isn’t everything after all, especially in portraiture, where the Fuji 35mm f/1,4 is still very popular. Another plus point is the price of the Fuji 35mm f/1,4 (check latest price here), making it one of the more affordable options when buying a new Fuji mirrorless camera body. It goes without saying that the Fuji 35mm f/1,4 (as with all the other primes in the Fuji lens lineup) is beautiful to hold and to look at, suiting the black bodies of the Fuji X-T series and X-Pro series perfectly. Silent operation combined with these stealthy looks makes the combination popular with street photographers and documentary wedding photographers who wish to remain unnoticed to capture moments candidly. When combined with the eerily silent Fujifilm X-H1, you’ve got yourself a camera set up that won’t turn a single head, even when you’re shooting at high-speed burst mode! Despite its age, the Fuji 35mm f/1.4 is still an excellent performer. Perhaps not as sharp and optically perfect as some of the others in this Fuji best lens roundup, but nevertheless, displaying a certain quality to image rendering that sets it a step above the rest. Whilst we’re still on the topic of Fuji lenses with near-legendary status and tons of positive customer reviews, the Fuji 56mm f/1.2 really deserves its mention as perhaps the best Fuji X lens for portrait photography. Often hard to find due to high demand, the Fuji 56mm f/1.2 is the Fuji lens of choice of every wedding photographer I’ve met who shoots with a Fuji mirrorless camera. As Fuji’s fastest portraiture lens, the Fuji 56mm f/1.2 exhibits the 85mm equivalent creamy bokeh when shot wide open at f/1.2, letting in enough light to warrant its use even in the darkest of locations. Whilst similar f/1.2 lenses from Canon (which are over twice the price of this Fuji) display softness when shot at f/1.2, the Fuji 56mm f/1.2 manages to achieve incredible sharpness from edge to edge. However, it’s the beautiful out-of-focus elements (bokeh) that really make this lens deserving of its inclusion in this roundup. Shooting at f/4 to f/5.6 is where sharpness really gets impressive, but let’s face it – no one buys a pro-grade f/1.2 lens to shoot it at anything other than wide-open! There’s very minor vignetting at f/1.2 and close to zero chromatic aberation. As for focusing on the Fuji 56mm f/1.2, it’s not lightning fast but its no slouch either. When compared to the bumbling Canon 85mm f/1.2L, the AF on the Fuji beats it on all accounts. The Fuji 56mm f/1.2 feels sturdy with its all-metal construction, much like an expensive Zeiss lens. Despite being built like a tank, the Fuji 56mm f/1.2 remains relatively lightweight, and would be the perfect combination on a second camera body worn all day by two-camera shooters. The 85mm equivalent field of view of the Fuji 56mm f/1.2 is a favourite of portrait photographers – tight if you move in close, yet wide enough to include just enough of the background in the frame to tell the story. If you’re looking for stellar subject separation and low light performance, its hard to beat the Fuji 56mm f/1.2, and the hundreds of positive customer reviews since its launch in 2014 tell a similar story – read them here. If you’re lucky enough to find the Fuji 56mm f/1.2 in stock and have some money to invest in this impressive portrait lens, you won’t regret your decision. The Fuji 50-140mm f/2.8 is another of the best Fuji X mount zoom lenses, offering the most frequently used telephoto focal lengths (equivalent to 76mm-214) in a robust, well-designed unit. The Canon/Nikon 70-200mm zooms are the most popular professional zooms, and this is the same with the Fuji 50-140mm f/2.8 on the Fuji side. Similar to the more expensive Canon/Nikons, the Fuji 50-140mm f/2.8 is razor sharp throughout the entire zoom range. Autofocus is silent, almost instantaneous and always accurate. In dimmer light the Fuji 50-140mm f/2.8 starts to struggle when compared to a dSLR 70-200mm, so low-light sports use is not advisable. 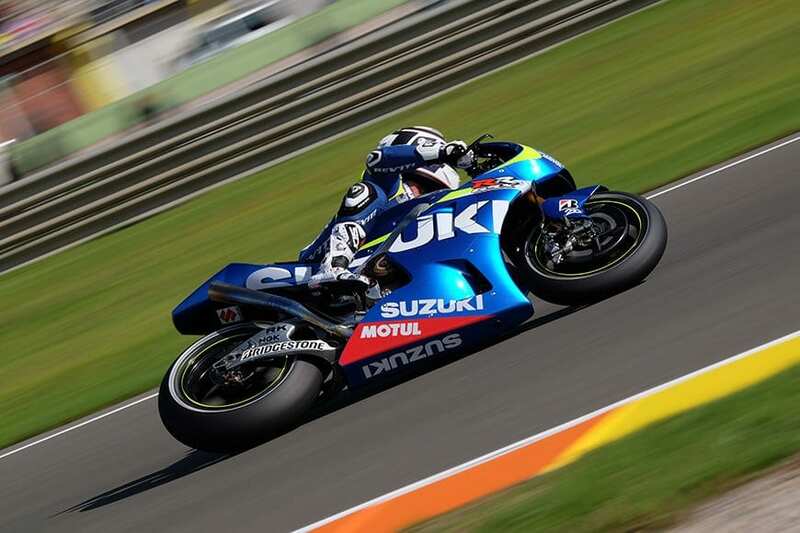 By day and in good light is where this Fuji lens really sings, as shown in the excellent panning motorsports shot below. Out of focus bokeh elements are soft and creamy, and when shot at its full range of 140mm, the Fuji 50-140mm f/2.8 offers excellent subject separation, making it a great portrait lens if you have the room to back up far enough. Other popular uses of the Fuji 50-140mm f/2.8 include wildlife photography and landscape photography work. 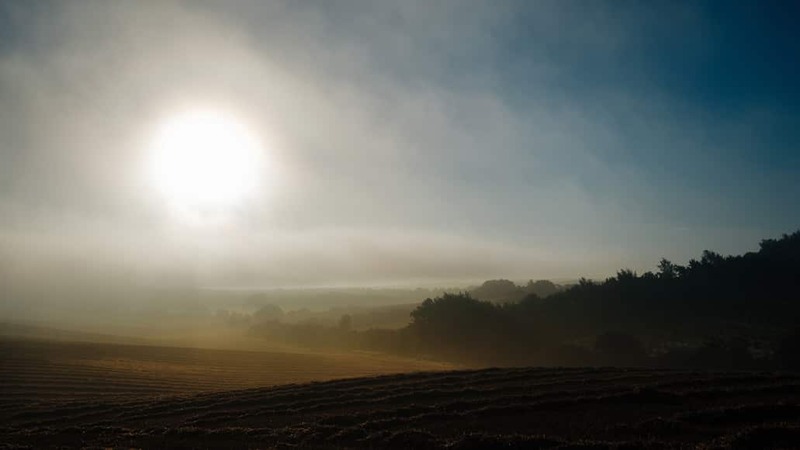 Beginners often wrongly assume that landscape photography requires wide angle lenses, but this is not the case. This is actually one of the key points in these 10 landscape photography tips. 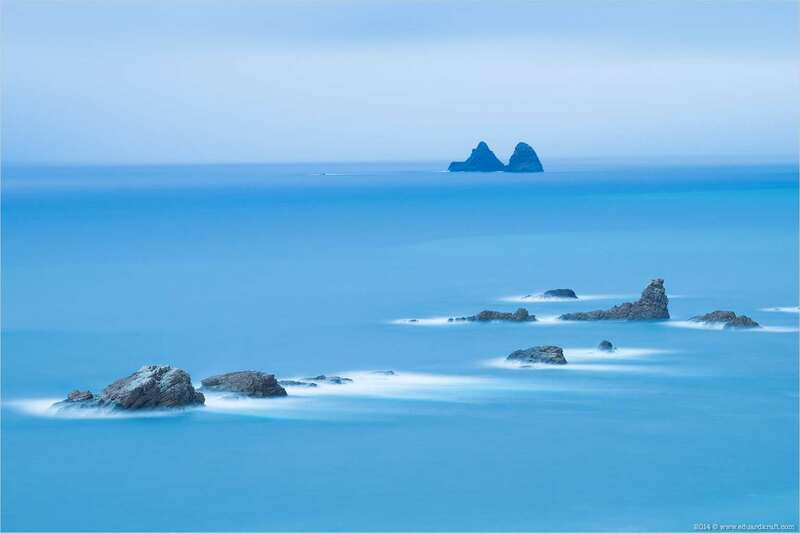 Using a telephoto zoom such as the Fuji 50-140mm f/2.8 can compress an image, making distant landscape elements appear closer together, for more striking compositions. As for build, you’ll know by now that all the Fuji X mount lenses are built out of metal to outlast your lifetime as a photographer. As with all pro-grade Fuji zooms, the Fuji 50-140mm f/2.8 isn’t compact or light, but the internal zoom and focus means that the lens doesn’t ‘grow’ at least! Image stabilisation on the Fuji 50-140mm f/2.8 also deserves a mention, with handheld shots at shutter speeds as slow as 1/15s shot at 140mm remaining very sharp. Shooting at such slow speeds would be extremely difficult without the inbuilt image stabilisation on this Fuji lens. Whilst my recommendation for mirrorless cameras is always a small, lightweight prime lens, if you’re in the market for an all-purpose telephoto zoom, the Fuji 50-140mm f/2.8 should be on your radar. Stick to daytime usage and you’ll be the envy of every back-aching DSLR shooter stuck on the sidelines! This is a bit of a bonus inclusion in this roundup of the best lenses available for Fuji X cameras. I’ve already included a 23mm lens (the aforementioned f/1.4 version), so why the need to include another one? The Fuji 23mm f/2 WR is a bit of a special weapon in the Fuji lens line up and one that deserves a mention. As you can see, ‘weather resistant’ is a bit of an understatement, and bears testament to the incredible build quality of the Fuji 23mm f/2 WR lens. 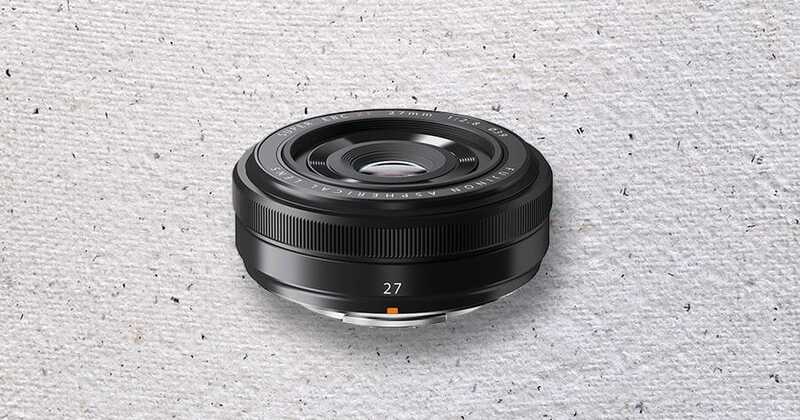 The next impressive feature of the Fuji 23mm f/2 WR s its weight. 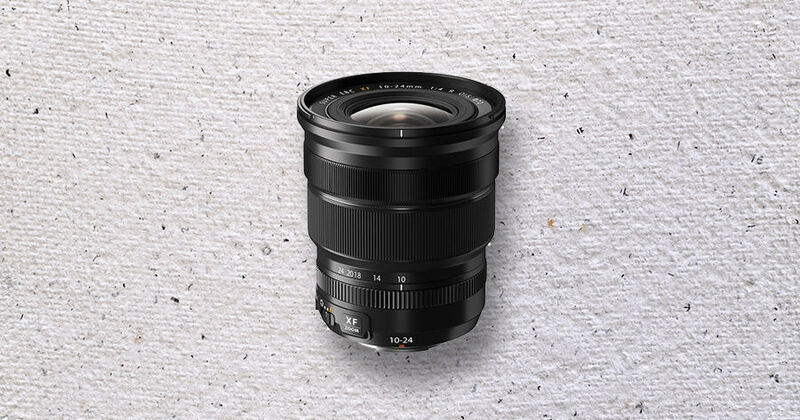 Weighing in at only 180g, this little lens is one of the lightest in the range, and so small that you could keep it in your jacket pocket all day as a backup and not even notice it there. 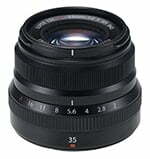 However, you’ll not want to reserve the Fuji 23mm f/2 WR as a mere backup, since the image quality it offers is superb. It’s just as sharp throughout its aperture range as its big brother the f/1.4, and most importantly, excels wide open at f/2. You’ll have a hard time deciding between this f/2 Fuji lens and the f/1.4 variant in fact, since the f/2 offers very similar image quality at almost half the price (and weight!) of the f/1.4 lens. Unless you absolutely need the fastest glass you can buy (for low light shooting), I’d actually recommend investing in the Fuji 23mm f/2 WR and spending what you save on education, like my book on Lightroom for example! 23mm on a Fuji mirrorless camera body has a 35mm equivalent focal length on a full frame sensor, the field of view of choice of street photographers, wedding photographers and any other photographer who wants a story telling lens that’s versatile enough for portraits, landscapes and everything in between. I use a 35mm lens for 95% of my own wedding photography work – it’s just such an incredibly flexible focal length. So, aside from image quality, size and weather proofing, another area where the Fuji 23mm f/2 WR really stands out is Autofocus. Fuji claims the lens can focus in 0.05 seconds, and during my testing, it never skipped a beat. I’d go as far as to say that in good light, the focus speed is even faster than the Fuji 23mm f/1.4 (which is understandable since it’s lighter). The shape of the Fuji 23mm f/2 WR is rather unusual, going from wide to narrow(er), as opposed to remaining the same width or wider like most of the other Fuji lenses. When mounted on a slimline Fuji X body such as the Fuji X-Pro2 however, it actually looks better than the bulkier Fuji 23mm f/1.4 in my opinion. The Fuji 23mm f/2 WR attached to a Fuji X-Pro2 – arguably the best Fuji street photography setup. You change aperture on the Fuji 23mm f/2 WR by twisting the aperture ring which is much faster and more convenient than fiddling with dials when your mirrorless camera body is small. The final pleasant surprise when it comes to this impressive little Fuji lens is the price. When you’ve just stumped up thousands of dollars for the latest Fuji mirrorless camera, it’s nice not to spend another thousand on a great lens after all! You can click here to find the latest price on the Fuji 23mm f/2 WR, but at the time of writing this review, it sat just below $450, which really is great value for a lens of this caliber. Although there is a slight difference in the bokeh of this lens when compared to that of its more expensive f/1.4 brother (mostly due to the difference in aperture blades), you’ll hardly notice unless you examine them side by side. 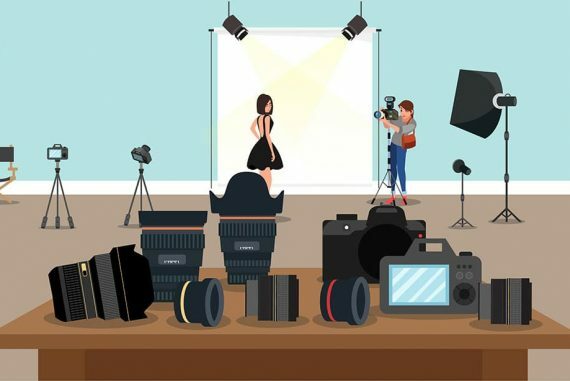 Now that you’ve got the best lenses for your Fuji camera, it’s time to start researching all the gadgets and gizmos to help you get the most of your new set up. Jackery portable charger to keep your battery topped up on the go. Wasabi Power Batteries & Dual Charger – Fuji’s batteries don’t last long, so always carry some spares! Godox TT350F is a great little flash that’s surprisingly cheap. Neewer Remote to trigger your camera remotely – also cheap as chips! Expert Shield screen protector with a lifetime guarantee. 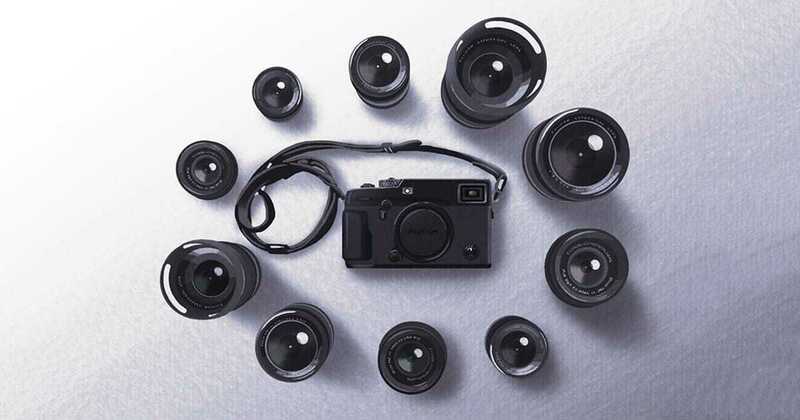 It’s clear that the compact, lightweight, high quality and affordable lens selection is one of the major drawcards of the Fujifilm mirrorless camera system. 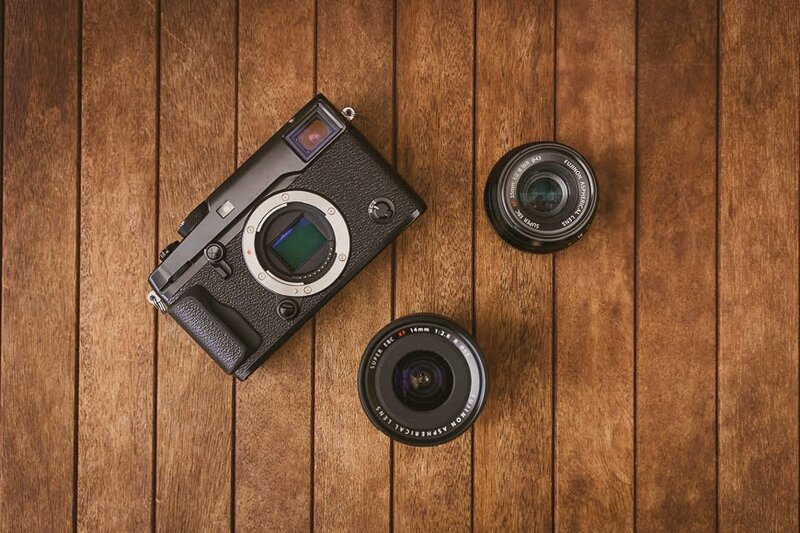 MILCs (mirrorless interchangeable lens cameras) are only as good as the lenses you attach, so it’s good to know you’ll never be let down with the Fuji X series. If you’re a Canon or Nikon shooter, you may be interested in the best Nikon lenses and the best Canon lenses too. As for Sony shooters, you can check out this best Sony lenses article, or this best Sony a6000 lenses one. Finally, if you shoot with Micro Four Thirds format, check out the best MFT lenses. Hi Mark, great read. What are your thoughts on 80 macro over the 90 which doesn’t have IS? Was thinking of the 80 for it’s dual capability of macro and portrait. You have now also made me think about the 55-200, I have been put off by the f3.5-4.8 as I use primes 16, 35 and 56. But will look into it as a handy one to have maybe over the 80 or 90 in the bag. I would love to add the 23 f1.4 but I already use the x100f and I don’t feel I need to double up on lens. Do you think the 23 f1.4 is a lens to always have in the bag, considering my other primes that is? Hey Lyn, sounds like you have a good collection there! I also have the x100F and agree that the 23 1.4 feels a little like overlapping, although the difference in bokeh between the f/1.4 and f/2 (of the 23mm X100F) is notable. As you’ve got a good range of primes already, the 55-200 might add some versatility, when you don’t have time to switch lenses. I love primes too, but every time I use a zoom, I wonder why I don’t use them more often – it’s lot of fun being able to take several different focal length shots, just by twisting the barrell ;-) As for the macro question, yes the 80 is a great lens, as long as you have adequate light. If not, IS is definitely useful. You could use the 90 to shoot portraits too. Hope all that helps? 50-140 f2.8 zoom in low light. My lens struggled at dusk shooting a football match with weak floods with XT-2 body but much improved switching to XT-3 body. I think more a sensor/processor issue than the lens. Though it weighs 1kg it is my favourite Fuji lens of the three I have; 18-55 and 10-24. Thanks for the feedback, Richard. Were you really pushing the ISO on your XT-2 to compensate? 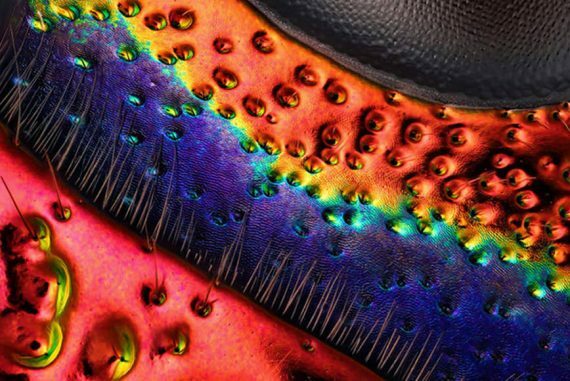 Thx , great article but What about best Macro lens? Greetings! I was robbed and lost a Canon 50 megapixel body and several lenses. A close friend turned me on to Fuji so I switched and as mainly a wedding photographer post editing for color adjustments is so much faster. The skin tones are dead on with the new Fuji X-T3. I will never shoot a wedding without dual cards. Short background. I’ve shot about 2000 wedding staring in 1987 with Hasselblads. Times have changed! 200 images was the right amount for a wedding, because each tine you fired the shutter it would cost about a dollar; the cost for film and developing, plus the proofs! Now it’s 2000 or more. The X-T3 allows us to shoot about 12 frames a second. Anyway, what about the 100-400 lens. I bought it but haven’t shot with it yet. Didn’t like the 100-400 Canon too much so I would use the 1.4 converter on the 70-200 AF2.8. I sill get to play in the woods a lot and I’m near Yosemite, and other great parks. Would you buy the 50-140 and maybe buy the 1.4 or is the 100-400 a pretty darn good lens? If I may add a note for dedicated flash units the flash I use is the Nissin Di700A, make sure its for Fuji! The best part of this flash unit are just 2 controls. A SET button and a WHEEL. Lets say you are underexposed well you just move the WHEEL in 1/8 increments until you get the exact exposure. It’s also very accurate, from closeup ring shots to about 15 feet back on TTL. Then switch to manual with the wheel and press the set button! It’s that easy. The Canon flash units have too many buttons and frankly you might miss several shots trying to set the flash unit from ETTL to Manual, then 1/2 power or 1/4 power. Thanks for the informative comment, Bob! I think you should join the Shotkit Private FB Group – something tells me you’d enjoy it there with your enthusiasm of photography/gear ;-) Will answer your questions there, since they’re rather specific. Hi Mark. Loved your article! Right now I’m a little divided between Fuji bodies, so if you coul help me a little I would be really happy. I’ve been working as a second camera on weddings using a borrowed Nikon D5300 and I’m looking to buy a Fujifilm camera but cant decide between the XH-1 or the XT-3 because I dont know if the IBIS is that much of a turning point in wedding and traveling photography. Sure Felipe, thanks for the kind words. It’s a tough one – they’re both great cameras. The IBIS in the XH-1 really helps in low light to keep your ISO low, but I think the X-T3 is an all round better camera for weddings. You can’t really go wrong with either. One thing I would say though it to by plenty of batteries – you’ll need at least 6 for a full wedding. I am missing a test of the 18-135 I used with XT1 XT2 ! Great article but nothing about de 18mm f2 ? 80% of my work is doing with that lens. A great focal length for reportage ! Ah it’s a great lens for sure, Cedric . Do you also shoot portraits with it? Thanks for the comprehensive and practical coverage of Fujifilm lenses. Just a point on the 23mm f2. I bought this last week for my new X-T3 and on using found that the image was blurred at f2. Lens is only usable at f5.6 and beyond. I was shooting an object at 10M distance. Not sure whether the lens is faulty or its a design flaw. Any comments would be much appreciated. Thanks Shane. Sounds like a dud – I owned the 23mm for 6 months and it worked fine for me, especially wide open. Thanks for the in depth view on the Fuji lenses. I enjoyed reading it! Looking for something nice next to my 35mm F2 on my X-T2. Hey Ingrid! Yes it can get a little confusing which lenses to buy. By the sounds of it, you need an all in one lens that’s versatile enough to cover a whole range of situations, and preferably be light enough to use on your X-T20 for travel. In that case, I’d recommend the 23mm f/2 – there appears to be a sale on Amazon here if you apply the coupon. Hope that helps! Hello! Just found this article and found it very informative. I recently passed my Nikon D5500 (two lens kit) on to one of my sisters so she and her husband would be able to take quality pictures of their growing family. Since then I’ve been making due with my Samsung Note 8 for my recent photos. I don’t particularly mind whipping out my phone for some quick shots, however, I have really been missing the camera experience and wish to return, minus the bulk! I’ve been researching and reading up extensively on Fujifilm’s X-t options and I believe I’m aiming heavily toward the X-t20 as a budget friendly choice. So, my question is, (I suppose I should preface with the fact that I prefer landscape & nature/city street & architecture shots) would you say the 18-55mm lens that comes with the kit is a good lens for those uses? haha it’s definitely got a distinctive look when shot at f/1.2! Great read! 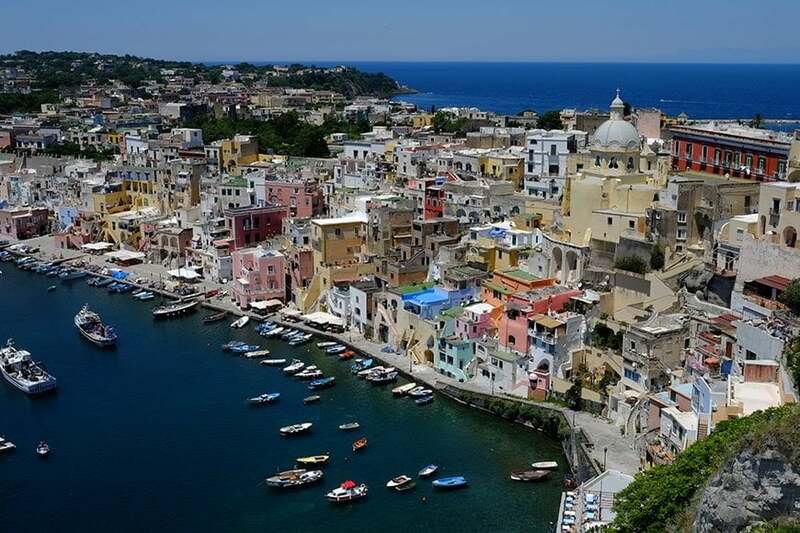 I read the above information regarding your top lens recommendations for travel. I’m interested in the T2 for travel as well as camping/hiking trips. Would you change your suggestions for lens? I’m mostly interested in lenses with WR due to mother nature :) Any recommendations for flash? Hey Jessica – it depends! Do you need a zoom? Personally I prefer a small lightweight fixed prime like the 23mm. As for flash, you have a few options too. Godox do some very affordable ones that work in TTL with Fuji. Hope that helps! What are your thoughts of using 56mm f/1.2 vs zoom 55-140mm f/2.8 for shooting portraits? I came across another photographer’s recommendation to use zoom lens for portrait because it’s more flexible. Bokeh can be created with stepping further away and zoom in. My preference would be the 56mm Tracy. It delivers a unique look not possible using the zoom, and you may not always have the room behind you to step back far enough to accommodate the entire range of the 55-140mm for portraits. I really enjoyed this article, but I’d caution that your notion of Amazon as an impartial customer review system in which the community honestly votes reviews up and down is a bit naive. Not only are many reviews on Amazon subsidized or simply fake, but the competition that Amazon breeds with its reviewer rankings distorts voting behavior among both reviewers and merchants. There are many excellent, honest reviewers on Amazon, and a close read of their review history will help you identify them; but in the end, it’s best to take what you see on Amazon with a grain of salt. Something to keep in mind – thanks Brad. Now I am clear, XT2 is just everything I need. The look, size, color, style, resistance, yp. I am a constant traveller and looking for a gear to have with me, for pro street, landscape, and once in a while a portrait sessions. I am a Nikon user, and I was into d500 or 850, but due to its size, d500, but it just feels to heavy to carry around all the time, and Fuji, perfect for street walks, or getting lost in the wilderness, and shooting nature, animals. So, what I need, is the lens. 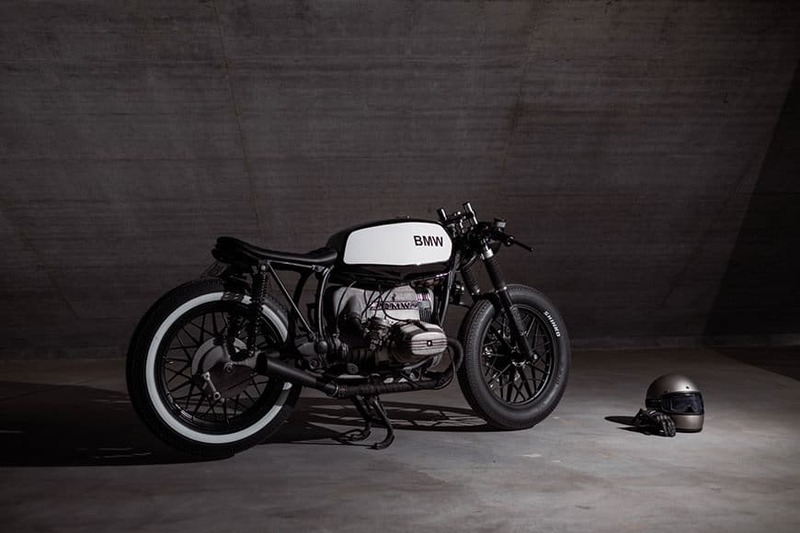 I would be more than happy to have one only, all rounder, but, in order to get a better quality, yea, two are just fine. One for everyday, street, close ups, and the other one for wildlife, streets as well. I went through ur article, and some others, but I just stoped. I need your answer. I ve heard, 16mm is the perfect lens for everyday use. But, you are here to help with the answer. So, one for everyday, and one telephoto. The price? That’s fine. I’m thinking of switching from my canon to the Fuji Xt-2. Currently traveling the world doing lots of travel photography (landscape, portraits, temples). Wanna build a kit that would let me do all of those things but with only 2 lenses, since I am traveling and don’t want to cary to much gear. What would you recommend for the 2 lenses? And if you were to have a 3rd lens, what would it be? Hey Marc with a C! For travel, I’d recommend these 3 lenses: 1. 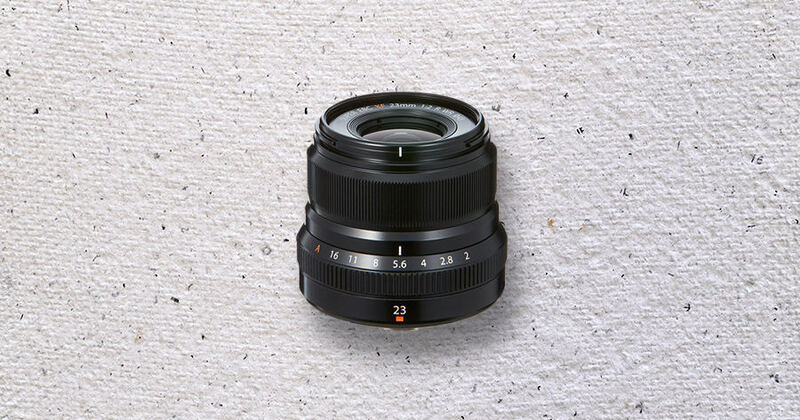 23mm f/2 for everyday walk-around and 90% of your photos; 2. 18mm f/2 for wide angle shots (the 16mm is also excellent but it’s much bulkier and more expensive); 3. I wouldn’t take anything else! But if you want one more, I’d consider a zoom like the 55-200mm f/3.5-4.8. I hope that helps! Constantly refer to this article of yours when looking at lenses for my XT2! Wanted to ask, what is your opinion on the 60 mm f2.4 fuji lens? I’m looking into it for some macro photography! You also sold me on my 23 mm f1.4! Got it and love it! Hasn’t left my hit since! Great, Aury! Yep that 23mm is an awesome lens. The 60mm f/2.4 macro is another great lens, but obviously very specific in its usage (being a macro). It offers good colour rendition, minimal distortion and is very sharp like the 23mm too. It’s a little slower to focus though. If you decide to buy it, please use this link to help support what I do here. Thanks! I have an X-T1 with the 35mm f2 which I love. I’m now considering the next lens to get. 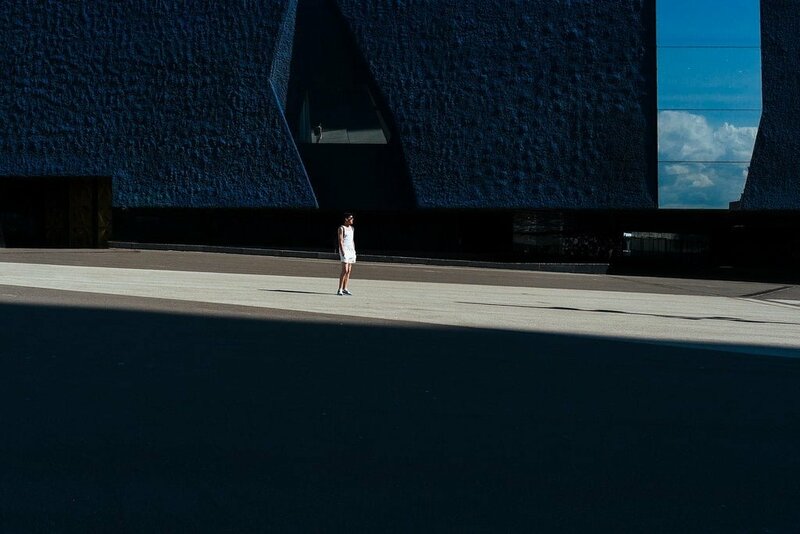 I like shooting streetphotography and landscape. Im thinkink of either buy a wide angle such as the 16mm f1,4 or a more zoom lens like 55-200. My new lens would be for more landscape, which do you suggest? Thanks Mikael. It’s hard to compare a wide angle with a mid-long range zoom as they’re completely different lenses for different purposes. I guess the easy answer is, decide how much you need to fit in the frame! You’re welcome Paul. Thanks for the feedback! I have fuji x-e2 Camera and want to make product photos fro blogging. Personally I’d use the 23mm f/2 Mara. It’s versatile and great value for money. Nice article. I’m just wondering what lenses would you highly recommend for both portrait and sports photography? Especially for indoor sports where lighting can be quite poor. Thanks. Sports photography usually requires zoom lenses, which unfortunately ‘eat’ stops of light. If you can get away with the 56mm f/1.2, you can shoot in low light, but the reach may not be enough for you. Otherwise, any of the Fuji zoom lenses which have large apertures are your only options. Hi Mark. I beg your pardon for my bad english. 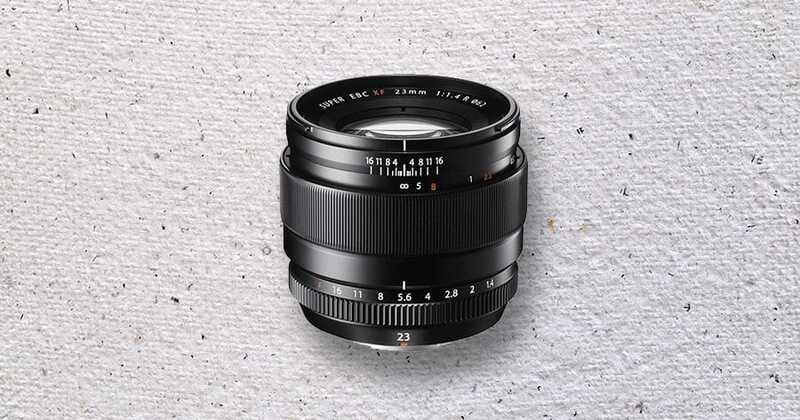 Fujinon 23mm f 1.4 has 7 circular blades and it is more expensive, the 23 mm f 2 has 9 rounded blades but it’s more cheap. It seems a nonsense. So: 1) what does it mean “circular” (Photozone) and what does it mean “rounded” (Photozone); aside the bigger aperture of 1.4 is this (circular/rounded) that also makes the difference in price? 2) Which has the nicer bokeh in your opinion? Thank you. Hi Roberto. Your English is fine ;-)… but I think you’re worrying too much about the details of these two excellent lenses! Don’t worry about the aperture blade number or shape. The f/1.4 bokeh is smoother, but you won’t notice unless you do a direct comparison with the f/2. The f/2 has weather proofing and is lighter, so it’s a great value lens. Unless you need to shoot in low light often, I’d get the f/2 and use the money you save for your next lens! I currently have a Fuji X-T1 with kit lens 18-55m f/2.8. 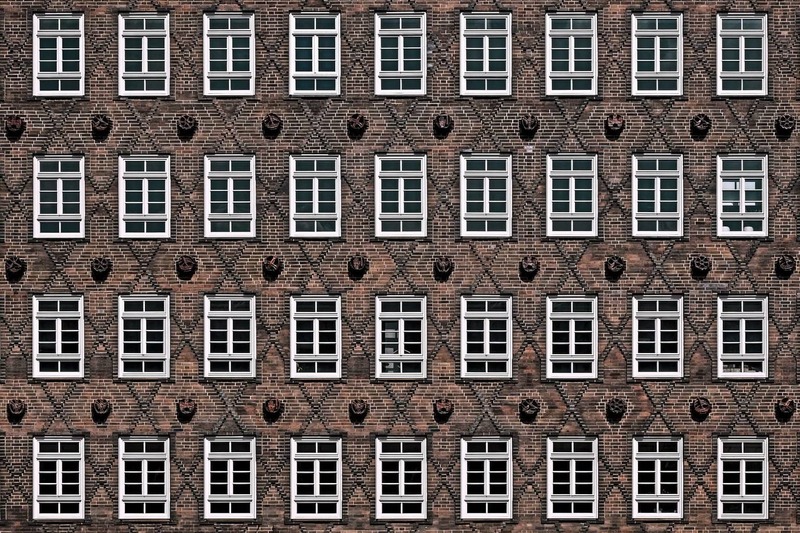 I’m interested in street, architecture, and landscape. If I were to get another lens, I’m thinking something wider and lower f stop. 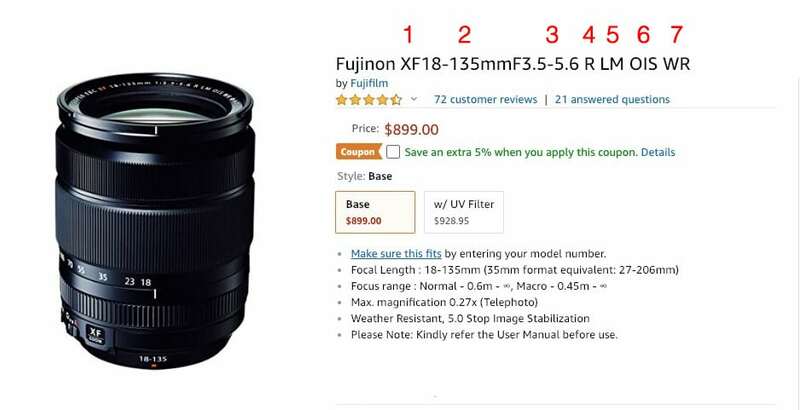 I think I want the 16m f/1.4 but do I really need it? As for the 23m f/2, is it too similar to my kit lens? Does it make a big difference from f/2.8 to f/2 in term of allowing more light? I’d say stick with that kit lens unless you’re shooting in low light a lot and you’re not satisfied with using higher ISOs. There’s not a massive difference in light gathering ability of f/2.8 to f/2, but it can be the difference between pushing your camera’s ISO just that little bit too far or a relatively ‘clean’ shot. I’d like to have your opinion and hope it’s not too late today! Do you think it’s the best option or somewhat comparable with any listed Fuji lenses above? Hi Osman, I haven’t used that lens so can’t really comment. If you’re happy with the results, I’d say stick with it! I have the 32 Touit on my XPro-2. It is stellar. I had the 12 but was not a big fan of that prime focal length. I have the Fuji 14 f2.8 and I like it more. It is more useable and more portable. From everything I have read, the 3 best Fuji lenses are the 16, 56 and 90. Case closed. I only own the 56 at the moment. Thanks your articles have helped crystallise which mirrorless body to go for. Great article on the lenses too. 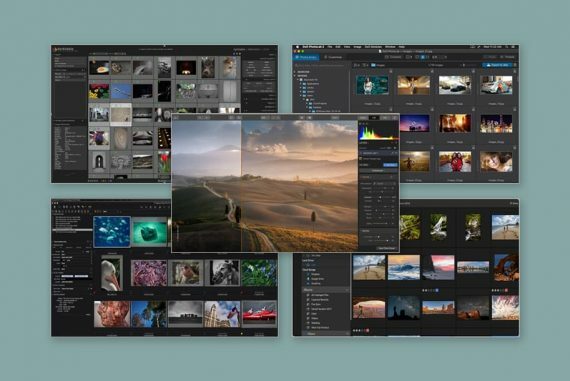 I’m off to Cuba with the Mrs soon and looking for a lense to leave on the body for the trip for a mixture of picture types I.e landscapes and portraits You’ve not mentioned the 18-135 lens in your article. What’s your opinion on this lense or would you suggest I go with the 16-55 f2.8? Hi Simon, glad it’s been useful. I’d go for the 16-44 personally as I prefer that zoom range but if you need to take photos of things that are further away, go for the other one. They’re both excellent. Also, weight may be a factor you should consider too. May I just ask, what would you recommend for a “walk around” as well as a “wide angle” lens? 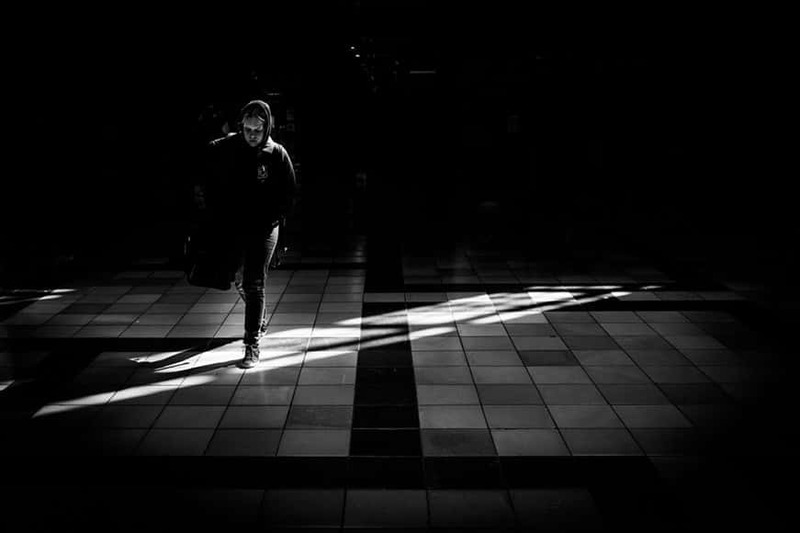 I am into street + landscape photography rather than doing portraits. 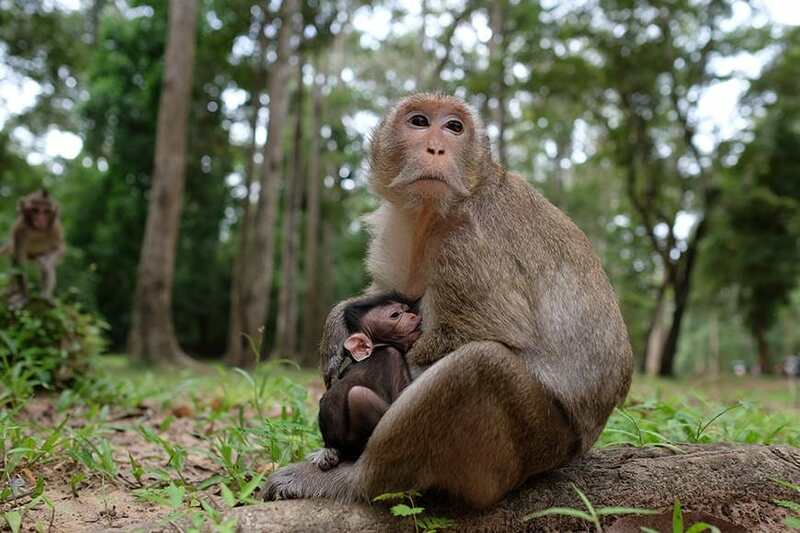 Plus, an easy to carry kind especially using a mirrorless fuji camera (x-m1). 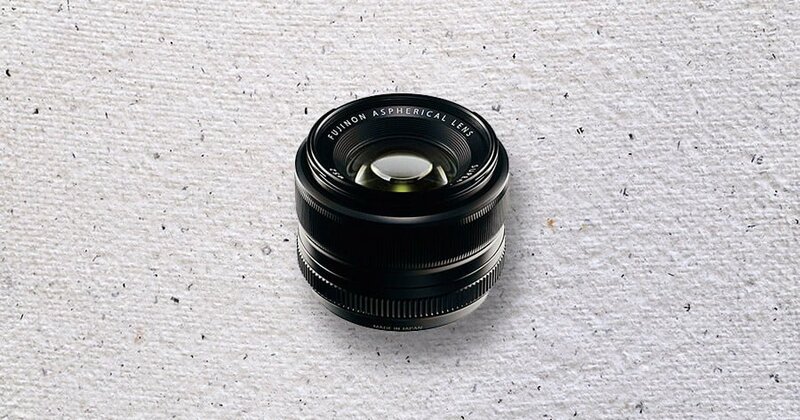 I’m planning to purchase a 27mm f2.8 fujinon lens. Would it be at least worth my needs? My walk-around/wide angle recommendation would be the 23mm f/2. It’s water resistant, fast, light, fast to focus and affordable. Good luck Jill! Great article. Thank you. I’m a new XPro2 user with a 23mm f/2 in the Graphite kit. Now deciding on lens #2. I’m switching from Nikon D810 to mirrorless. 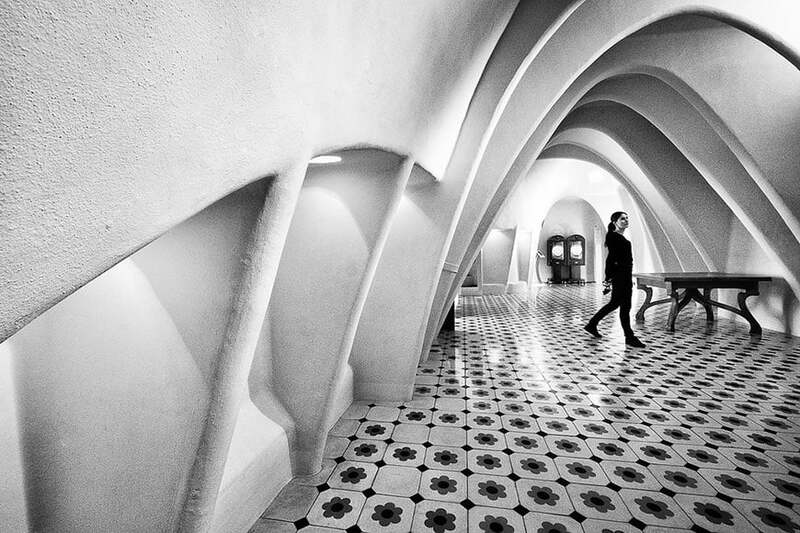 1) What lens is the best for traveling and street photography? 23mm f1.4 or 35mm f1.4? 2) Please, could you tell me what is the black leather strap attached in the picture of the two X-Pro2? It is beautiful and I would like to buy it fot my XT-2. Could you share the name and the place where I can get it? what about the 100-400 ? Great article thank you. I am hoping to write an article in the near future comparing the older 23 F1.4/35 F1.4/56 F1.2 trinity and the newer f2 WR trinity. My problem is I can’t get the new 50 f2 WR off my XPro 2. Such a great lens. Check it out if you can. Thanks again for the read. Ah yes the 50 f/2 is another great one. I prefer a 35 focal length to a 50 for versatility, but for portraits with a little environmental context, it’s hard to beat a 50. I know this is outside of the scope of this article but was wondering about how some 3rd party lenses would stack up against these. I have used a few Samyang lenses (sold under the Rokinon brand) that are amazing. The 12mm and 85mm are two that come to mind. I’m a fairly recent convert from Pentax. Unfortunately, or fortunately depending how you look at it, I only have the 16-55mm F2.8. Eventually I hope to get most of these lenses, but at the moment I’m really looking forward to getting the 50-140mm. Thank you for these excellent reviews. I own the X-T20 and am loving the Fuji experience. First, would you recommend the 100-400 for this camera? I’m sort of hooked on zooming right into my subjects and miss the flexibility of the Nikon 18-300 lens. I’ve no desire to use a tripod. I do love the quality of the images I get with the Fuji though and have no regrets. In time I’d like to get one of the top Fuji cameras as my main body. Is the T2 the best overall, do you think? Hey Simon. The 100-400 is a great zoom, but I’m not a fan of putting a large lens on a small body like the X-T20. As for your other question, the X-T2 is the flagship camera, so I guess you could call it the best. It depends what you need it for though – the X-T20 is more than adequate for 90% of situations imo. Hi, Can you help compare the XF23/f1.4 R vs XF23/f2 R. The f/2 seems newer, WR, faster focussing, yet is cheaper than the f/1.4. Is the f/1.4 sharper? Any reason to go for the f/1.4 lens over the f/2? Thanks and great article. Hey Dan, good question. I tested them both first hand for a month so feel I can answer this one well. Aside from the obvious difference in apertures which will affect depth of field and low light performance, the f/2 and the f/1.4 are very similar in performance. 2 great things about the f/2 version – it’s smaller/lighter (although somewhat of a strange looking lens! ), and it’s weather proof. I ran my XT-2 and this lens under a tap and it worked flawlessly. I’d say, unless you shoot in very dimly lit venues or are a complete bokeh-whore (! ), stick with the f/2. Hope that helps! Dan, while I don’t own the 23 f/1.4, in terms of sharpness, I can tell you that the 23 f/2 is perhaps my sharpest lens, right next to the stellar XF90! Plus, if you have a WR body, it’s a no-brainer. [Correction] I meant to state that my ex-rig was a Canon EOS 7D MK II (Great camera but constantly shooting on high-speed shutter (10fps) for motocross events I’d pushed the shutter count way past 200,000 and the body was worn and has lived in the dust and mud for two years, so it was time for a change). I’m using the XT-2 with grip on 14fps with the electric shutter and the results are superb. No violent mirror flapping action and mechanical shutter banging away; life is quite and smooth and no moving parts has got to be better for the camera body. Hi – Great article and appreciate the detail. What are your thoughts on the Fuji 100-400mm f/4.5-5.6? I’m primarily looking for equipment for wildlife photogrpahy and now having settled on the Fuji X-T2 and torn between this and the 50-140mm f/2.8. It’s an excellent lens, Susan. I didn’t include here simply because I thought it was a little too niche for the everyday user. I am a recent convert from Canon to Fuji. I like wildlife and sports (motocross) and my ex-rig was a Canon EOS MK II (with vertical grip) and EF 100-400mm f/4.5-5.6L IS II USM Lens. Moving to the Fuji X-T2 with power grip and the Fuji 100-400mm f/4.5-5.6 lens I’ve lost nothing except some bulk and a ton of weight. I’m enjoying the new kit very much and learning to love it more as I suss the best tracking AF mode for my purpose. I get such beautiful JPEG images straight off the camera with the Fuji that I’m spending far less time with the sliders converting from RAW. The Fuji 100-400mm f/4.5-5.6 is sharp with good (fast and accurate) AF characteristics. It feels well made and robust. The OIS is quite amazing too. I purchased the Lens kit with the XF 1.4X WR Teleconverter included. This is a very nice bit of kit for that extra reach. I looked at the 50-140mm f/2.8 but figured for the type of wildlife and sports I shoot, that I’d need the 2x Teleconverter and have it fitted most of the time. I’d like to acquire the 50-140mm f/2.8 as well eventually, but for now, all in all, I’m very pleased with my investment in the Fuji 100-400mm f/4.5-5.6 and would highly recommend it.